Mounted on nickel or silver plated findings. 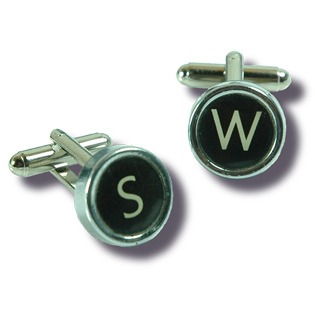 Available in a choice of letters, numbers or symbols. Usually also available with black lettering on white.